They render services throughout Africa and have earned a reputation as one the foremost heritage service providers in the SADC region. PGS Heritage was established by Henk Steyn, Polke Birkholtz and Wouter Fourie after they identified a need for a specialist grave relocation service in Southern Africa. The company was named Professional Grave Solutions (Pty) Ltd. At the time, all three founding partners were involved in the heritage and archaeological field. During 2007, the bold move was made to amalgamate all their heritage work with the grave relocation business. It was at this point that the name of the company was changed to PGS Heritage (Pty) Ltd. To find out more we chatted to Birkholtz, Director at PGS. What services does PGS Heritage offer? PGS Heritage provides a full grave relocation and heritage impact assessment service, and we work closely with the relevant authorities to comply with legislation and stipulations. We communicate and co-operate with government, communities, community organisations and other stakeholders. We manage and participate in large scale projects with a highly qualified team of professionals and technicians possessing years of practical experience. 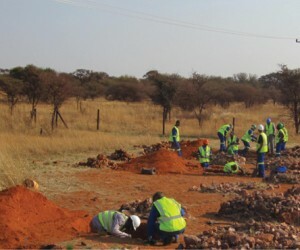 We found grave relocation to be an incredible niche market in Southern Africa. A large number of grave relocations are done by undertakers who are often not skilled in handling the legalities or the management of the process, resulting in numerous problems for clients. We also offer our clients a comprehensive Heritage Impact Assessment and Heritage Mitigation service addressing the full heritage spectrum, including history, archaeology, palaeontology and architectural assessments. Our staff contingent enables a fast reaction and implementation period. Do you only offer your services in South Africa? No, we have successfully completed various projects outside the boundaries of South Africa, including Swaziland, Mozambique, Botswana and the Democratic Republic of the Congo. We are also looking at expanding our work into Africa as we are firm believers in the continent’s social and economic future. Tell me about some of the projects your company has successfully completed.Internationally we have completed Heritage Impact Assessments for the Rand Gold Resources Kibali project in the Orientale Province of the DRC, the Banro Corporation’s Namoya Project in the Maniema Province of the DRC and the Manica Gold Project for Xtract Resources in the Manica Province of the Republic of Mozambique. Recently we completed a grave relocation action plan as part of the Resettlement Plan for Anadarko Moçambique Área 1, Lda for the proposed Area1 Offshore of the Rovuma Basin gas field, located on the Afungi Peninsula in the Cabo Delgado Province of Mozambique. Our team has completed the relocation of over 4 000 graves. 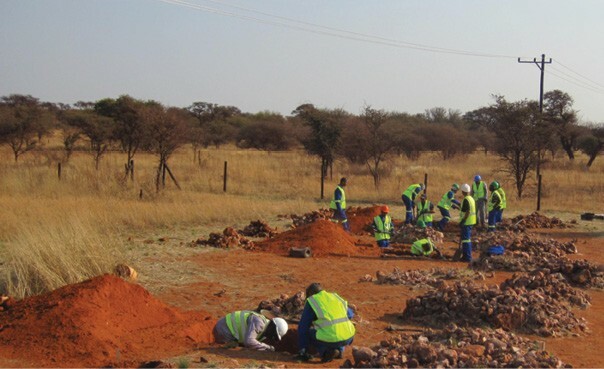 This includes the management of large-scale grave relocation projects such as the relocation of 1 700 graves for New Vaal Colliery close to Vijoensdrift in the Free State Province of South Africa. As part of our heritage mitigation services, we are in the final stages of completion on the Clanwilliam Dam heritage mitigation project. It is arguably one of the largest heritage mitigation projects implemented in South Africa. The project stretched over 30 months and included the excavation of archaeological sites, the collection of oral histories, the relocation of graves and the implementation of a community development and involvement plan linked to the heritage resources of the Clanwilliam and Olifants River Valley. To continue striving to be the best heritage services company in the SADC region and at the same time hold ourselves to the highest standard of service excellence and customer satisfaction. PGS Heritage can be contacted at 012 332 5305 / contact@pgsheritage.co.za / www.pgsheritage.co.za.